This year, I'm not going for weekly mileage as much as past years. After some thought and reflection on the recent past, I'm targeting vertical gain and "quality". I'm also running tempo and speed work. I'm not ignoring weekly mileage but I'm finding greater value in a week with 80 miles and 25,000ft gain rather than a 120 mile week with 10,000ft of gain. I'm pretty confident this will yield results on the types of races I prefer to run. In the past month, I've found a good partnership with Ryan Lassen in running lots of vertical. Ryan has been a part of the 100 day Kaihogyo since January 9th. In January, he accumulated over 100,000ft vertical gain. I logged about half of that. So, on to February.....with all this in mind, I have new focus for my training runs, which now require climbing just about every day. So far so good......I'm feeling strong and really enjoy getting on top of the local summits most days of the week. I've also come to enjoy www.Strava.com at the suggestion of Sherpa John. The Strava site is much better than other logs for me, in part, because it's tracking vertical gain. It also allows you to see routes other runners are using. I've found that stronger athletes are using Strava rather than other log sites like DailyMile, etc.. I still keep that account open though.......I stay in touch with people that way. Here are some of the pics we've taken in the past few weeks. This is a great site! 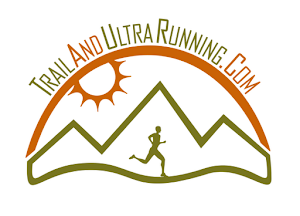 I also ran Boulder 100 in 2013, and would love to invite you to check out my race the Run For Aurora 50k and 50Mile in Roxborough State Park June 1st. It's a pretty challenging course with some fantastic scenery, and 100% of proceeds benefit the Aurora Theater Shooting Victims.